Have you ever wondered why there are no emojis that represent cultural diversity? 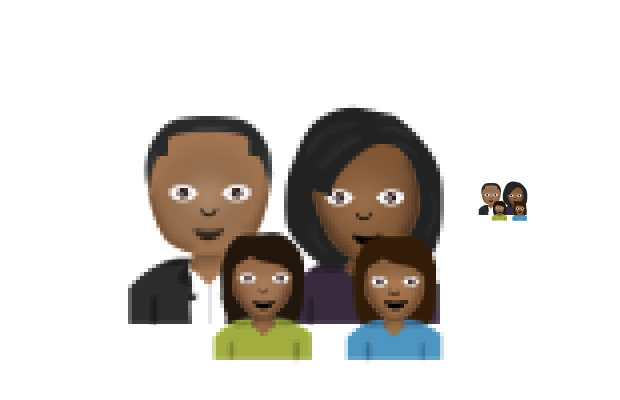 You may be able to point out one or two, but as for the family emojis and friendship emojis people are asking why the color of their emoji skin had to be white. The only two emojis close to representing people of color would be the darker skinned emoji with a head wrap and the asian emoji sits next to it. MTV has the asnwer to your question. On their website it shows where MTV has asked why there wasn’t more cultural diversity when it comes to Apple’s emojis. Writer, Joey Parker, reached out to Apple CEO Tim Cook. The email was then forwarded to Katie Cotton, the vice president of worldwide corporate communications. She then wrote back to Parker giving an answer. Tim forwarded your email to me. We agree with you. Our emoji characters are based on the Unicode standard, which is necessary for them to be displayed properly across many platforms. There needs to be more diversity in the emoji character set, and we have been working closely with the Unicode Consortium in an effort to update the standard. If this happens, how many emojis will need to added for people to be satisifed and feel represented as a culture?